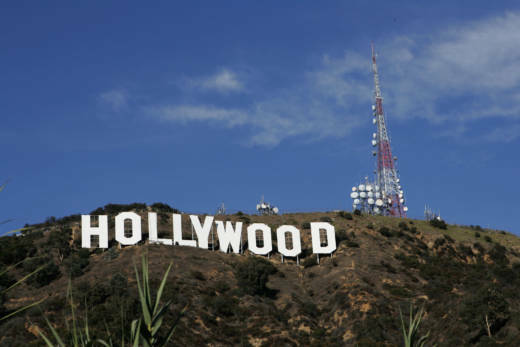 Is a Hollywood Tax Credit Still Needed to Protect Industry Jobs? Posters in the hallway announce upcoming club meetings and homecoming events. Placards next to lockers note yearly academic achievements. In a nearby basketball gym, banners hang from the ceiling to celebrate the Liberty High Tigers' past championships. 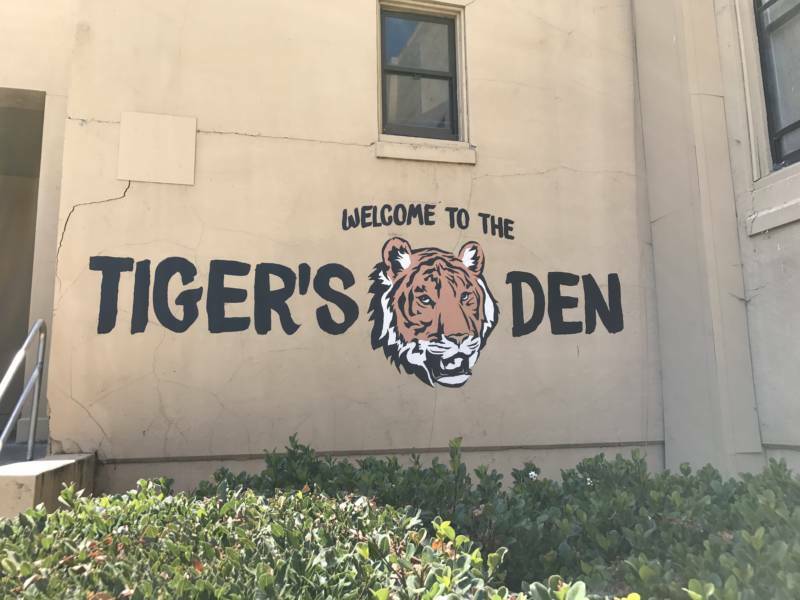 But you won't find any students at this meticulously detailed production set, constructed inside a former Navy recreation center on Mare Island in the Bay Area city of Vallejo. Fields and buildings abandoned by the Navy in 1996 have been transformed into Film Mare Island, a production facility that hosted the soon-to-be-released second season of "13 Reasons Why," the controversial Netflix show about a teen's suicide. The facility has been heralded as a successful product of California's expanded film tax credit program, signed by Gov. Jerry Brown in 2014. The initiative aims to expand production to all corners of the state and to protect an industry at risk of losing film jobs to other countries and states. But as many competing programs have come up short in their goal of creating sustained film production, it seems that the threat of new Tinseltowns sprouting up across the country has diminished. 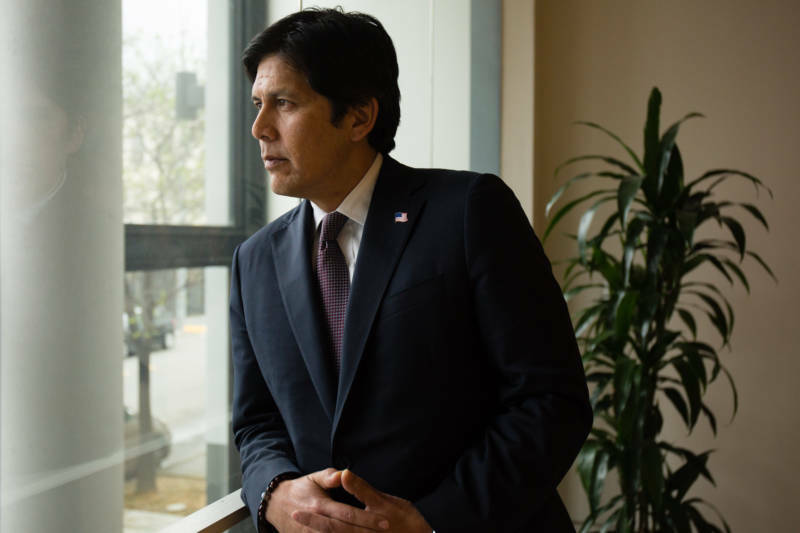 Speaking in front of the Hollywood Chamber of Commerce in August, Senate President Pro Tem Kevin de León said the film tax credit investment "is paying off" as other states reduce their incentive programs. "With the sheer scale of our commitment to the industry, we’re out-competing states like Florida and North Carolina," he said. "Both states have dropped their programs after we overhauled ours here in California." The extension and expansion of California's film and TV tax credit was chaptered in Assembly Bill 1839, which grew the program from $100 million to $330 million annually through 2020. Proponents argued that the legislation, which received bipartisan support, would stem the tide of thousands of film production jobs leaving the state every year. "The film and TV industry is an indigenous kind of industry, especially in Southern California," said Assemblyman Raul Bocanegra, D-Pacoima, who helped write the tax credit bill. "We were losing our lunch to other places in the country and the world for filming." The solution offers greater incentives to production companies than the original film tax credit program did and changed a number of features of the earlier program. A budget cap that excluded blockbuster films from receiving credits was eliminated, and the process of selecting films to receive credits was changed from a random lottery to a formula that aims to choose productions most likely to deliver jobs. Films and TV shows can receive a tax credit covering 20 percent of expenses with added incentives for shows relocating to California. The qualified expenses include wages for cameramen and crew, and money spent on equipment, but not the salaries of actors or directors. Without the tax credit, the money given back to film studios would go to the state's general fund to help pay for programs like public education and Medi-Cal. The direct benefits of the program can be challenging to track. Brian Weatherford, a fiscal and policy analyst with the Legislative Analyst's Office, says a study of the first film incentive program found that many productions that missed out on a tax credit in California ended up relocating to another state or country. But the circumstances for each project are so unique that researchers found it impossible to simulate what would have happened to the industry if no tax breaks were given. "We found that there was some justification to consider having [the tax credits] because of this very aggressive competition from other states," Weatherford said, "but we have no way of knowing what the alternative is." Backers of the program say it has delivered on its goal of providing a shot in the arm to one of California's signature industries. A recent report from the California Film Commission concluded that during the program's first two years, the state "attracted or retained" 100 projects, which created an estimated $3.7 billion of spending. "We’re definitely seeing a resurgence in the level of production all over the state," said Amy Lemisch, executive director of the California Film Commission. "Our soundstage facilities are pretty much operating at capacity." Legislators behind the expansion also tout an extra 5 percent credit given to projects filming outside the 30-mile zone around Los Angeles. 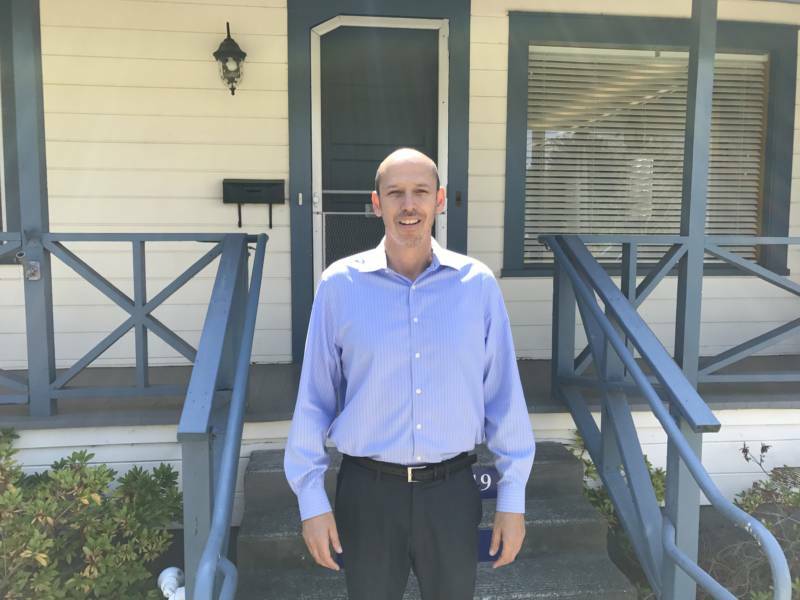 Among the projects taking advantage of the bonus tax credit is "13 Reasons Why," which this summer filmed its second season in the Bay Area. "It is the catalyst for why we're here today," said Mark Walter, general manager of Film Mare Island, where the Netflix show and an additional feature film are being shot. "We would not be here if it wasn’t for that added incentive." As he zips between soundstages and design studios in his golf cart, Walter points to the network of lumber yards, catering companies and hotels that benefit from a production coming to town. The California Film Commission report found that during the production of the first season of "13 Reasons Why," nearly $22 million was spent in Contra Costa, Marin, Solano and Sonoma counties. "The bill is doing what it was intended to do," said Assemblyman Bocanegra. "Keep as many jobs as we can in California and to spread it around. Not just in Southern California but throughout the state." The question that will face lawmakers when the current tax credit program expires in 2020 is whether California's well-established film infrastructure still needs help to stave off competition. "In an ideal world, we’d be competing on how good our soundstages are," said the Legislative Analyst's Office's Weatherford. "Not because our government is giving away money." Increasingly, other states are deciding that the tax credits are a race to the bottom. A study by University of Southern California Assistant Professor Michael Thom found that 11 of the 45 states that once offered film tax credits have ended their programs. Others, like Louisiana, have scaled back investments after seeing little growth in jobs and productions. “It did not help states attract larger shares of the industry," Thom said. "In the long term, most of Hollywood stayed in Hollywood." California and New York's inherent advantages (scenery; an established pool of actors, directors and writers; proximity to existing studios) were apparently too difficult to overcome, save for picking off an occasional big-name feature. As California's current film tax credit nears its midway point, lawmakers will consider an expansion amid a field of fewer competitors. "It’s sort of bizarre to watch California spend more money to retain jobs that there’s no real incentive to leave the state," Thom said. Senate President Pro Tem de León said he'll consider possible changes to the program, but he doesn't want to take any chances in letting the incentives expire. "We have to extend it, and we have to send the signal that we're in this for the long haul," de León said. "We're not out of the woods." It may simply prove more politically costly to ditch the tax credits, which de León said many businesses view as "catnip." That metaphor was echoed in Thom's research at USC, which found that the more a state invested in film tax credits, the less likely they were to scale back the incentive. Once the investment is made and the industry becomes used to the benefit, "it's very hard to overcome," Thom said.